In 2007 the NSW government suddenly scrapped a plan to utilise the water in the disused underground train tunnels beneath Sydney. That’s the thought that inspired this project. We believe that if we stop fighting the peer to peer networks, they could become the biggest revolution we have ever seen in the way we share entertainment and information. After spending years being frustrated by what we saw as the movie industry’s short-sighted and conventional outlook towards the online community, we decided it was time to try something different – The 135K Project was born. 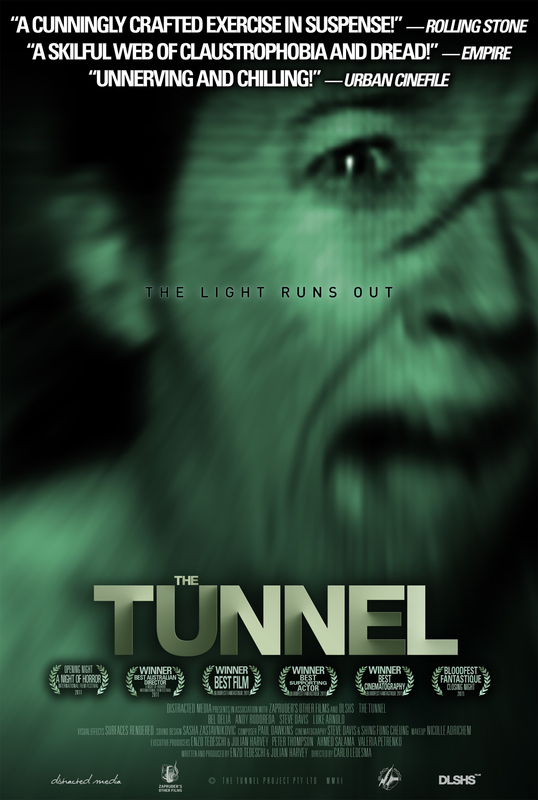 We figured that movie posters and collectable frames from movies are being sold every day, so what if we could raise the money to make “The Tunnel” by selling every individual frame of it? We would be able to make a movie unencumbered by a studio’s need for box office. We could do what we got into the industry to do in the first place. Tell stories we like and get them out there so people could enjoy them. What’s the key to doing that? You. If you like the look of “The Tunnel” or the idea behind The 135K Project – buy a frame or two, blog about it, follow us on twitter, seed and embed the finished film when it’s released. Whatever you can do. It will all help and show the world there might just be another way. Who knows where that might lead?